Original music by Kim Sherman. Directed by Robert Richmond. 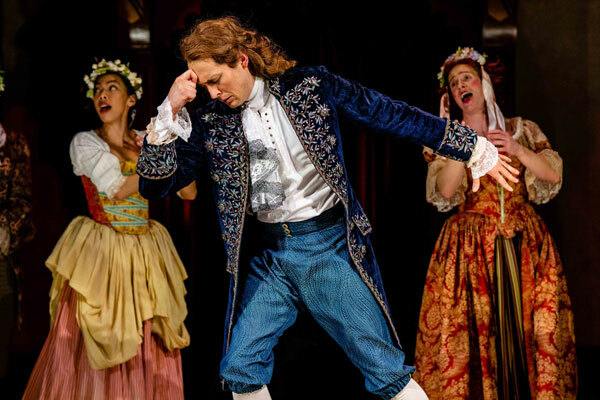 “It is so brilliantly crafted it would be a crime to miss it. An orange seller from the streets of Drury Lane steps onto the stage and becomes the darling of the Restoration theater. 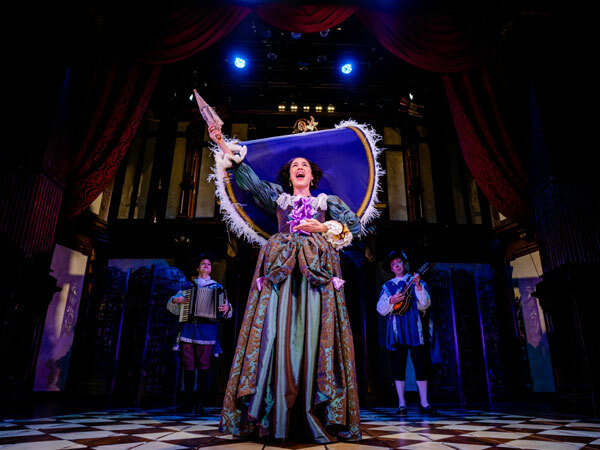 Nell discovers one of her biggest fans is none other than Charles II. 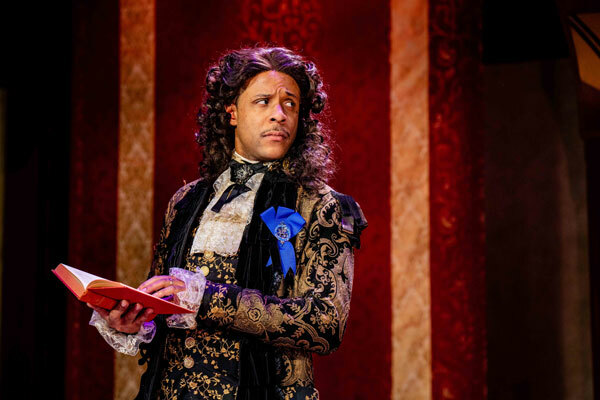 Smitten with Nell’s spirit, the king brings her to court as a favorite mistress. 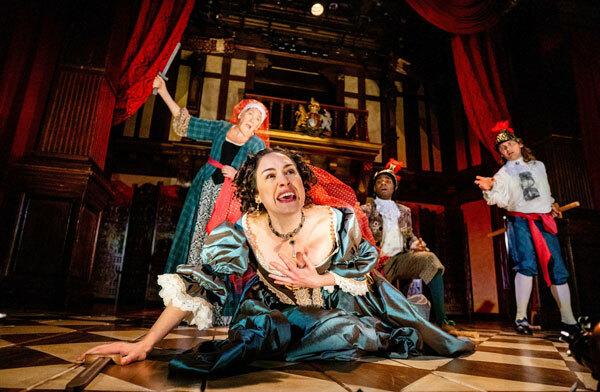 Commissioned by Shakespeare's Globe, this sparkling portrait of a rare woman earned accolades in London, including the 2016 Olivier Award for Best New Comedy. 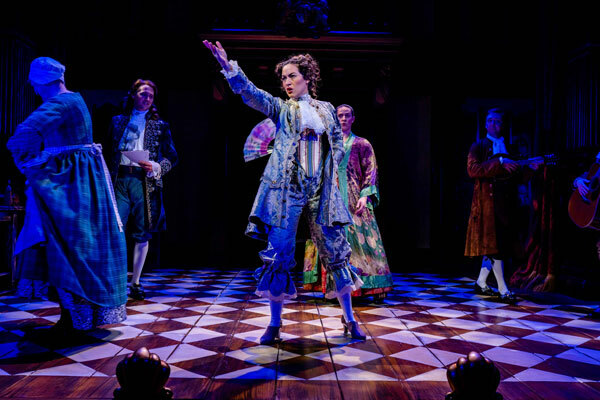 This heart-warming and hilarious look at an amazing woman of her—or any—age is “a roaring good time” (DC Theatre Scene). 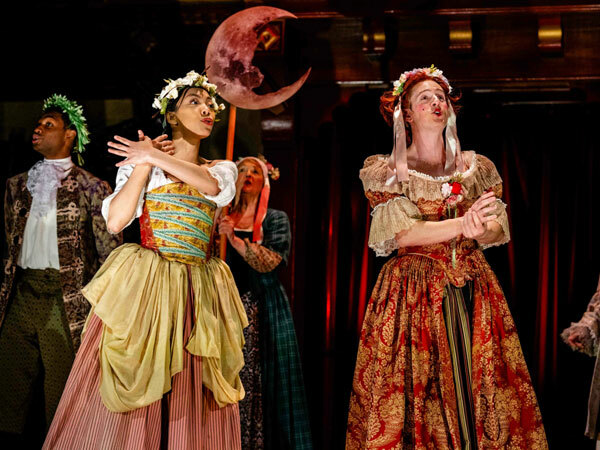 Running time for Nell Gwynn is approximately two hours, thirty minutes including a fifteen minute intermission. 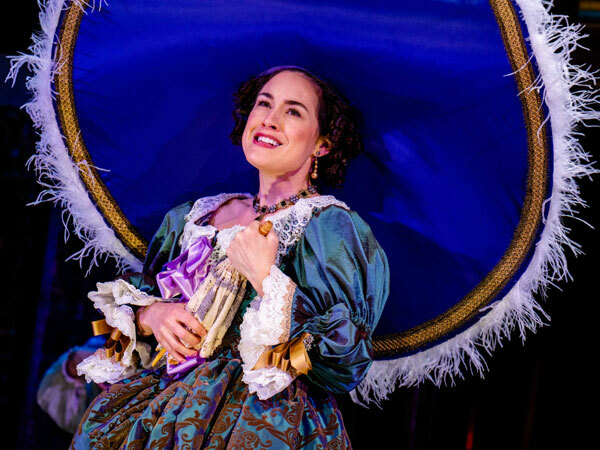 Consider joining us for a special performance of Nell Gwynn to enhance your theater-going experience. 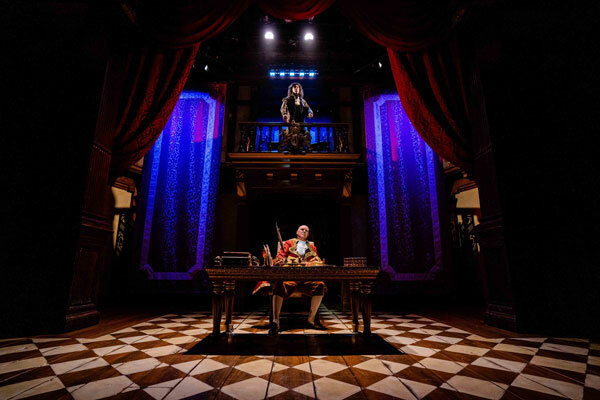 Folger Theatre gratefully acknowledges the kind support of our sponsors. 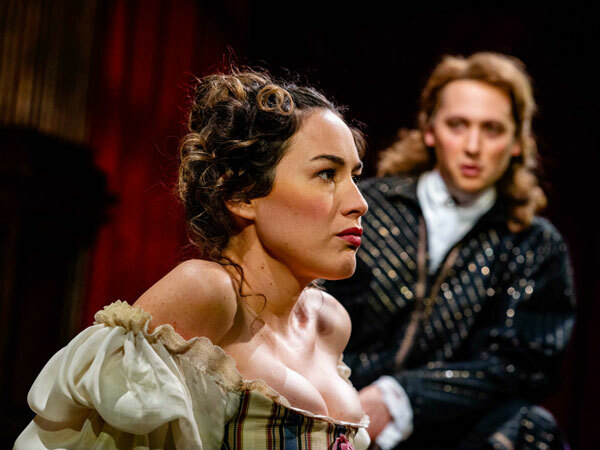 For a full list of sponsors for Nell Gwynn, please visit our Sponsors page. Photo by Brittany Diliberto, Bee Two Sweet Photography. 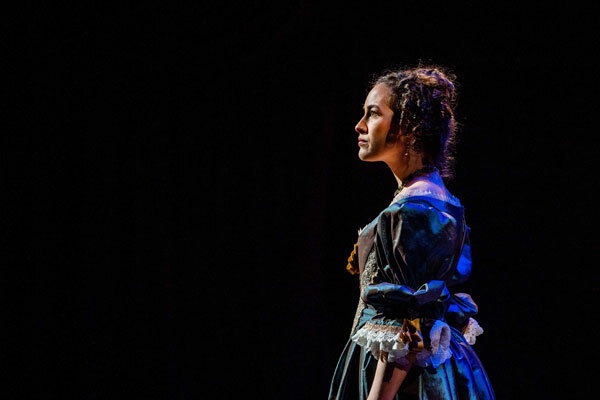 Nell Gwynn (Alison Luff) stands alone on stage. 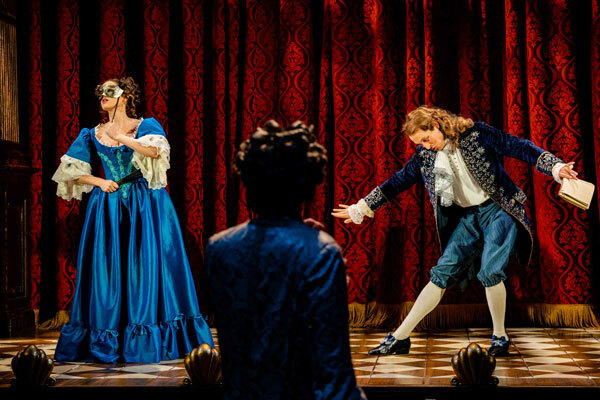 The King’s Company in performance (left to right: Caitlin Cisco, Quinn Franzen, Christopher Dinolfo). 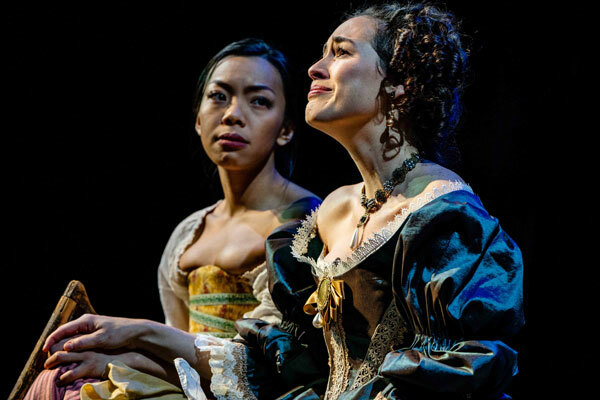 Rose Gwynn (Caitlin Cisco, left) shares a somber moment with her sister Nell (Alison Luff). 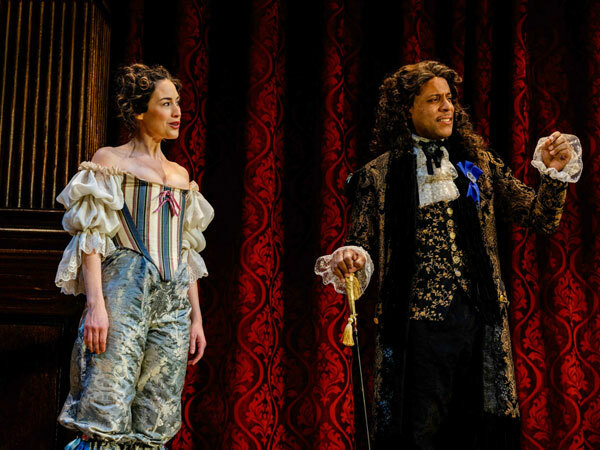 Nell Gwynn (Alison Luff) entertains a new fan—King Charles II (R.J. Foster)—backstage. 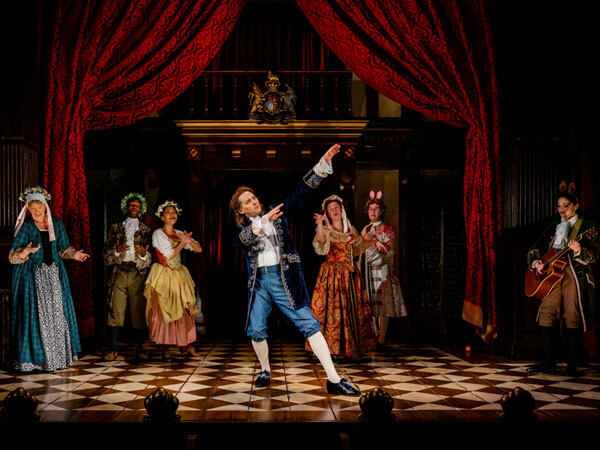 The King’s Company in performance. Pictured left to right: Alex Michell, Caitlin Cisco, Catherine Flye, Christopher Dinolfo, Nigel Gore. 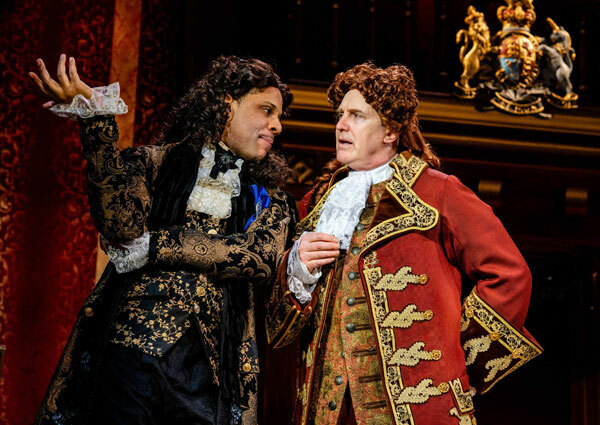 King Charles II (R.J. Foster, left) consults with Lord Arlington (Jeff Keogh) on matters of the court. 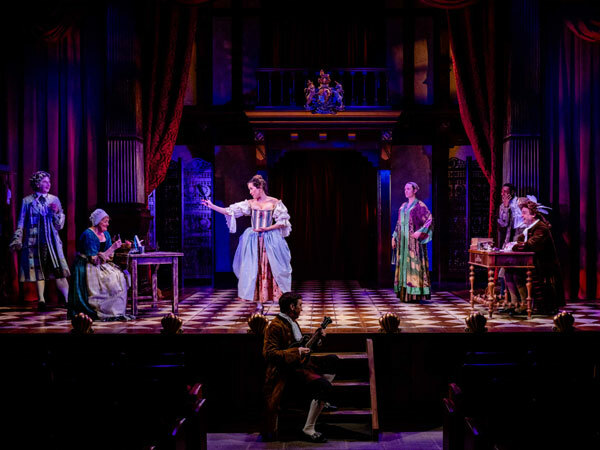 Actor Charles Hart (Quinn Franzen) takes center stage, as the rest of the Company looks on (left to right: Catherine Flye, Alex Michell, Caitlin Cisco, Christopher Dinolfo, Nigel Gore, Zoe Speas). 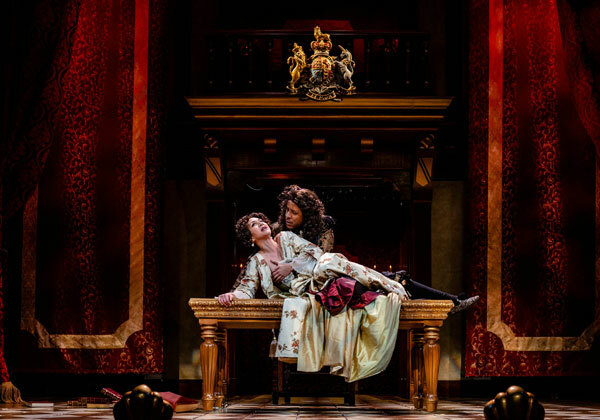 King Charles II (R.J. Foster) shares a private moment with his mistress, Lady Castlemaine (Regina Aquino) in Jessica Swale’s Nell Gwynn.